The National Assembly inspection on Oct. 24, 2012 exposed that at least 22 high-ranking police officers have been reemployed as high staff members of the employment-limited corporations, such as Samsung C & T, the main contracted company of the Jeju naval base project. 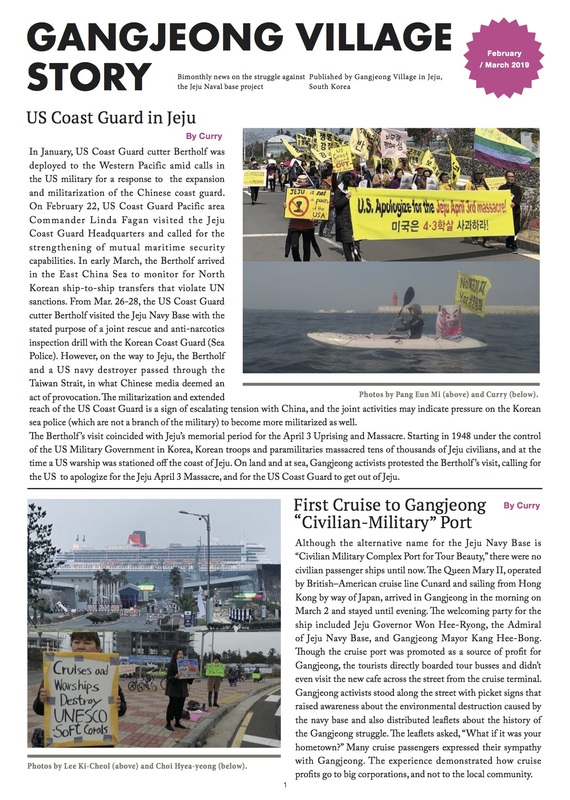 Is it still strange that the police are loyal to get order on their performance from the construction and security companies in the Jeju navy base project? The Oct. 24 exposure must be an only tip of iceberg. Photo: Jeju Sori, Oct. 26, 2012. 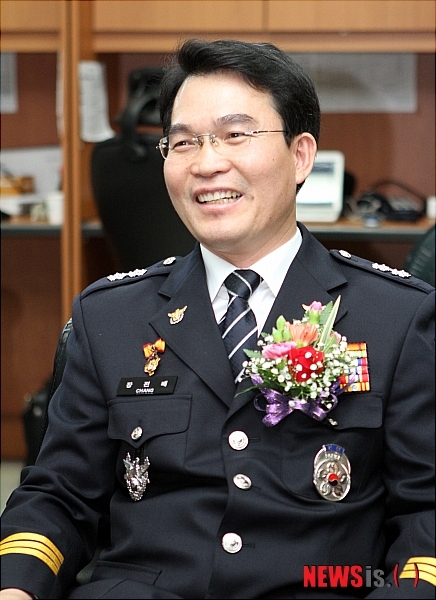 Jang Jeon-Bae(50), the new Jeju Provincial Police Agency chief as of Nov. 1, 2012. He was a former Jeollabuk-do Provincial Police Agency chief. According to the Headline Jeju, Oct. 31, he firmly stated that , he ‘’would NOT CONCEDE’ regarding the daily conflict with people in front of construction gates especially since the start of 24 hour construction( on Oct. 25) . He also clarified his will to continue to operate police teams for the photo/ video collection of protesters in the protest fields, which people have claimed to be illegal inspection. Given the material on the status of reemployment of public officers that the Ministry of Public Administration and Security (MOPAS) has submitted to Lee Sang-Kyu (United Progressive Party), member of the Administrative and Safety Committee of the National Assembly, on Oct. 24, 22 retired high ranking police officers above the rank of police superintendents have been reemployed in the employment-limited corporations during recent five years. The public notice No. 2011-51 by the MOPAS limits provincial police chiefs to be employed by the highly business-related companies, on which they perform the authority of permission, monitoring and supervising, such as construction or security companies. According to the material, among 22, 8 got the jobs in the construction companies while 7 in the security companies. In case of a Senior Superintendent General who retired the Chief post of the Daejeon Provincial Police Agency, he got the job as a full-time employment consultant in the Samsung C & T in charge of the Jeju naval base project, in less than 2o days of his retirement in 2009. In case of ‘S’ corporation, a representing South Korean security company, it has reemployed former high-ranking police officers above the rank of police superintendents in rows EVERY year. In case of current Secretary of Security Association, he came from a former Provincial Police Chief. See also a former policeman’s quite different story. Mr. Han Yong-Gi was employed by a Samsung insurance company as a worker but now became a fighter against the big corporation, Samsung, to recover the rights of workers. 삼성화재 해고노동자 한용기씨가 삼성과 싸우는 이유는?